We are the eminent manufacturers, suppliers and exporter of an optimum quality assortment of Machine Tools & Products including Engineering Industry Lubricants. The range we offer under this category includes CVC Graphikote and CVC Viscolube. Our experts have precisely fabricated this range keeping the requirements of different types of machines in the electronic industry. Usage of top grade factor components and latest technology in the manufacturing process guarantees flawless functioning of the machines in which these lubricants are used. MOLYPASTE N-3 is a highly concentrated microsize Molybdenm disulphide based multipurpose assembly/lubricating paste fortified with special additives to withstand very high temperature & extreme loads. It is most ideally suitable as an assembly paste for grease lubricating system to ensure freedom from scuffing & scoring. 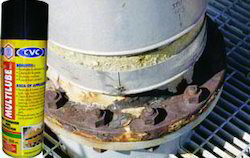 MOLYPAST N-3 eliminates metal to metal contact between nuts & bolts preventing them from seizing leading to breakage under extremely heavy load. To prevent seizure in the cases of nuts, bolts, studs, screws, locknut, pipes and coupling, unions, U-bolt, flanges exhaust manifolds etc. It is used as an assembly paste for grease lubricated systems such has bearings, gears, piston rings, valve systems and for parts impossible to be lubricated in service to ensure freedom from scuffing or scoring during the initial operation period. For all overloaded and overheated bearings to prevent seizure and as a coolant. To eliminate scoring during press fitting. During shock loading of the bearings either of the radial or of the axial type this lubricant prevents metal-to-metal contact between the ball & the race & thereby prevents seizure & galling. For all slides, ways, guides subjected to heavy intermittent loads. 5th wheel assemblies, king pins, splines sleeves etc. Chains, cables, linkages, speed reducers, rim locking rings. To protest metal parts from Rust & Corrosion when subjected to humidity & corrosive atmosphere. It is also used as a heavy thread lubricant. Easy & Quick dismantling of mechanical parts. Heavy duty thread lubricant which protects threads from rust & corrosion. 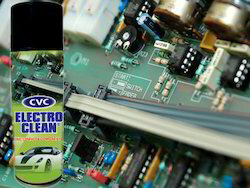 PCB - 500 Conformal Coating is specifically formulated to provide an instantaneous clear, dry, protective coating for PCBs from moisture, corrosion, tracking, dirt & dust, fungus & pollution. It is a solder-through type of coating based on modified acrylate, for easy repairs. 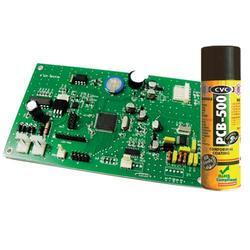 It assures long life to components & PCBs against adverse conditions. It conforms to MIL-I-46058C specification. Applications:All types of printed circuit boards and assemblies, Electronic components and other parts such as battery terminals, bus bars, transformers, etc. METHOD OF APPLICATION: By holding 15-20 cms. away from printed circuit board, it should be sprayed in to and fro manner, so that uniform coating is obtained. This coating should be allowed to dry before handling the PCB. The coating should touch dry in 10 minutes. Protects from moisture, dirt, dust & pollution. Applications:Computer controls, fine and delicate instruments. Magnetic tapes and heads, Precision valves and components, Oxygen and Hydraulic systems, Semi conductors, Printed circuit boards (PCBs) and disposable medical devices etc. 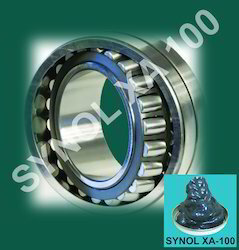 Applications:XA-100 is used in industries wherever multipurpose grease are used in industries, especially for industries which consume ball & roller bearings, bushes & those which require lubrication of chains, linkages, joints, slides & ways. It can be dispensed through centralised lubrication system & it is an ideal lubrication for electric motors & water pumps. It can replace all conventional & multipurpose greases used in the textile industry & will give atleast 2-3 times longer re-lubrication intervals. Typical application in the Textile industry would be all greasing application in Textile Machinery (except where specific products or lubricants are recommended.) It can be used on LR cards, Combers, Pneumafill motors, Looms, Draw frames, Speed frames, Autoconers & so on. 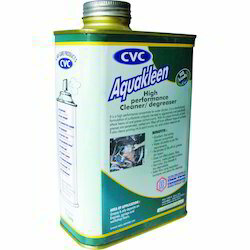 CVC AQUAKLEEN is a high performance concentrate for water dilution. It is a revolutionary formulation of surfactants, detergents & additives uniquely blended to aggressively and specifically attack heavy oily and greasy contaminants. With its unique formula it penetrates, wets & lifts off oily & greasy deposits from any surfaces. The surface can be wiped clean or rinsed with water after allowing it for a few minutes to work. It is an ideal & safe replacement of kerosene and petrol as recommended by European and US standards, used as cleaners in various industries. Applications:It is used as Textile machinery and equipment cleaner especially in the Spinning, Weaving, Knitting & Processing departments, and also in Automobile industry for degreasing of engines, gear boxes and various components, total cleaning of outer body of machinery & vehicles, highly recommended for cleaning of garage & workshop floors. It is an excellent tar and asphalt remover, asbestos shingle remover, graffiti remover, grease trap maintainer, floor cleaner, printing press cleaner, stain cleaner, metal cleaner, concrete cleaner, marine vessel cleaner etc. Removes all oily and greasy deposits/contaminants. Removes dust, fluff & carbon deposits. Excellent, fast acting cleaner with superior wetting properties. Non-toxic, non-hazardous, non-irritant, bio-degradable cleaner. Safe, non-flammable and eco-friendly cleaner. Very economical, water dilutable as per the end use requirement. Does not affect painted surfaces. Safer than using hazardous kerosene and petrol for cleaning. 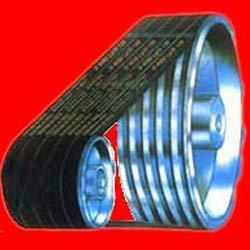 CVC BELT DRESSER is used for cleaning and protecting drive belts made of rubber, leather or synthetic materials. It improves transmission efficiency and protects them from weathering effects. Applications:Practically for all flat, belts made of Leather, rubber, canvas and other fabrics for both indoor and outdoor use. 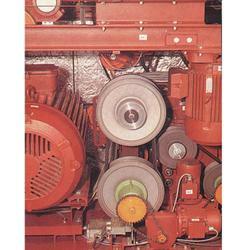 All industrial belt drives and auto fan belts. Compressors, Pumps, Generators, Fans, Textile equipments farm and marine. Prevents slippage - increases belt performance. Extends belt life and increases power. Keeps belts pliable and prevents shrinkage. It is a high performance concentrate for water dilution. It is a revolutionary formulation of surfactants, uniquely blended to aggressively and specifically attack heavy oil and grease contaminants from electronic components. With its unique formula, oil and greases are penetrated, wetted and lifted off from different types of surfaces. VISCOLUBE ‘T’ – Tacky Synthetic Chain Oil specially formulated for instant maintenance and protection of vehicle. It is a on-dripping, non-staining lubricant which sprays like oil but sticks like grease. It has good penetrating properties with excellent clinging to all types of surface. It does not splash from open gears and fast moving surfaces. It generates tacky, long lasting lubricative film. It is best for Bicycle/ Motorbike chains. It is used for door locks, hinges, wires, bearings chains, gears etc. Applications:Best for Bicycle / Motorbike chains.Door locks, hinges, wires, bearings, open gears etc.Squeaking joints in automobiles.House holds appliances.Balance Rod of Steering wheel. Non-Dripping, Non-Staining with excellent penetrating property. Sprays like oil and sticks like grease. Generates tacky, long lasting lubricative film. Through pinpoint application, difficult to reach parts can be lubricated. Looking for Machine Tools & Products ?